It’s no secret, turtlenecks are having a major comeback this year. In today’s post, I decided to share with you some tricks and ideas on how to accessorize turtleneck tops this year. I think you all agree with me that it can be quite challenging sometimes to accessorize the neck part of this top. Of course, we don’t want to create a glitzy look, but we also don’t want to make our neck look too plain or boring. 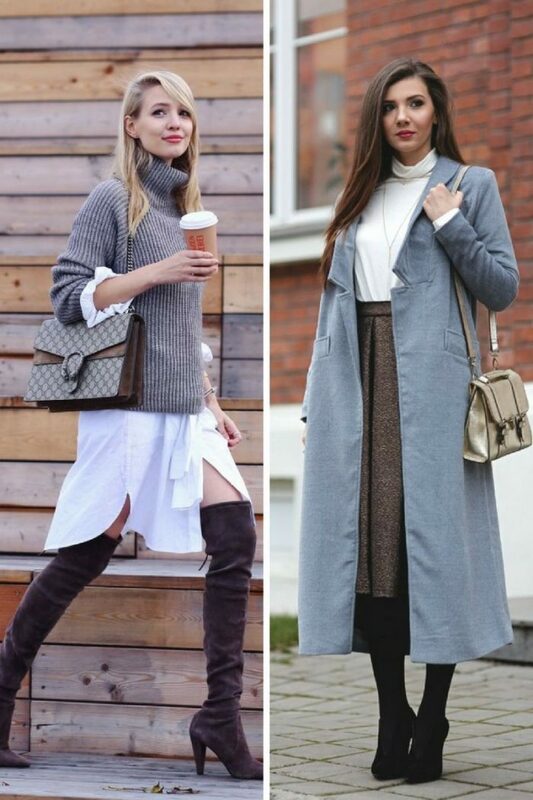 All in all, I’ve created this stunning compilation of street style looks, where ladies appear in stunning turtlenecks complemented with various accessories and clothing pieces. Keep on scrolling to find out more. First of all, you can add a luxe, long chain necklace. This is a perfect way to liven up your turtleneck. You can try on beautiful necklace with a statement pendant that drops just right above the belly button. This length will create an elongating effect, so you look taller, elegant and sophisticated. For instance, you can go for a black solid color turtleneck and compliment it with a golden tassel necklace. Why don’t you make a statement by adding luxurious earrings? If you are not fond of wearing necklaces, then I advice you to try on a pair of flashy studs or dangling chandelier earrings. Make sure your hair is up, so you can fully showcase your pretty jewelry. Another simple way is to pin a brooch on. Try the brooch that will compliment your outfit and make you stand out from the crowd. Remember that the brooch does not necessarily have to be on your turtleneck. If you don’t feel like wearing jewelry, then you can add a sling bag. I recommend to try on the one with an interesting strap, it can be sequined, furry or made of metal chain. 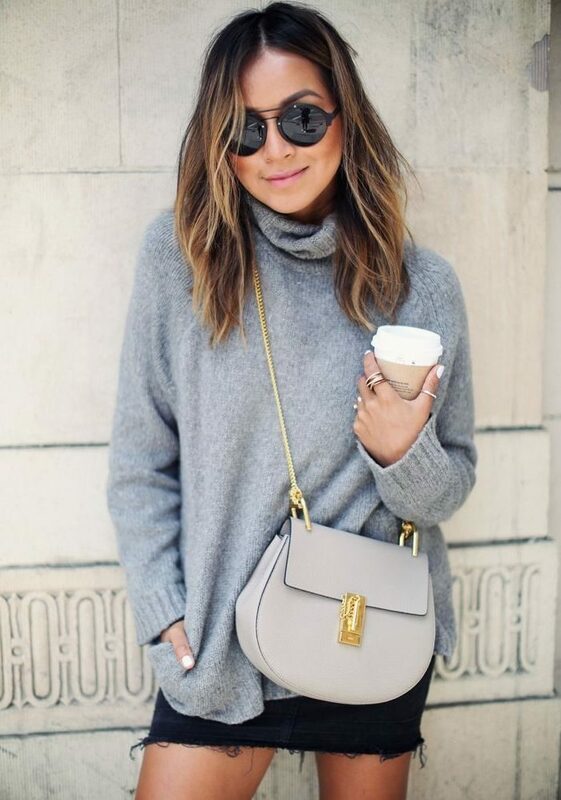 Break the monotony of your lovely turtleneck by wearing the bag across your shoulder. My favorite way to brighten up turtleneck is to throw on a vest. This layering technique will underline your individuality and make you look less boring. I recommend choosing a vest in a contrasting color with your turtleneck. 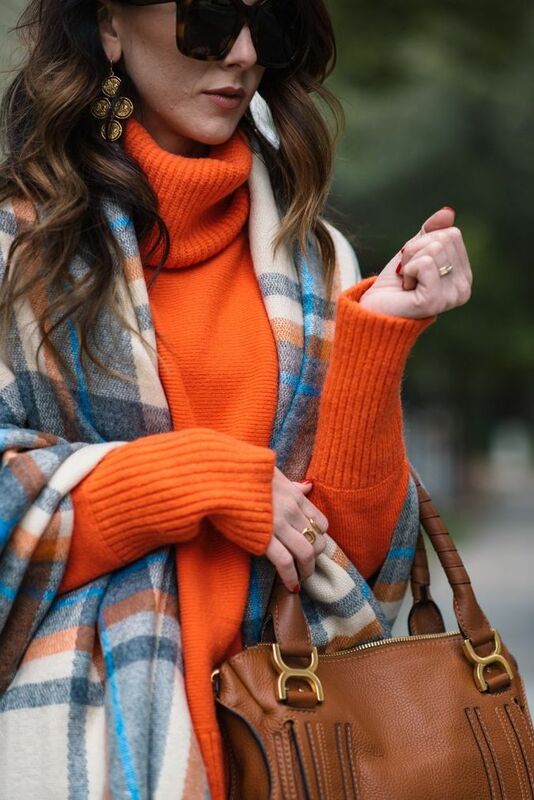 The last but not least way to liven up your turtleneck is to top it off with a scarf. This trick can be done during Fall and Winter months, when you will need an additional layer. Love this oversized gray turtleneck sweater teamed with a mini black denim skirt and rounded black sunglasses, the saddle bag looks awesome! By the way, check out my post on oversized fashion trend for women, I am sure everyone will find there something interesting. Be sure to tell me what you think in the comments. Do You have any thoughts about How To Accessorize Turtleneck Tops For Women? 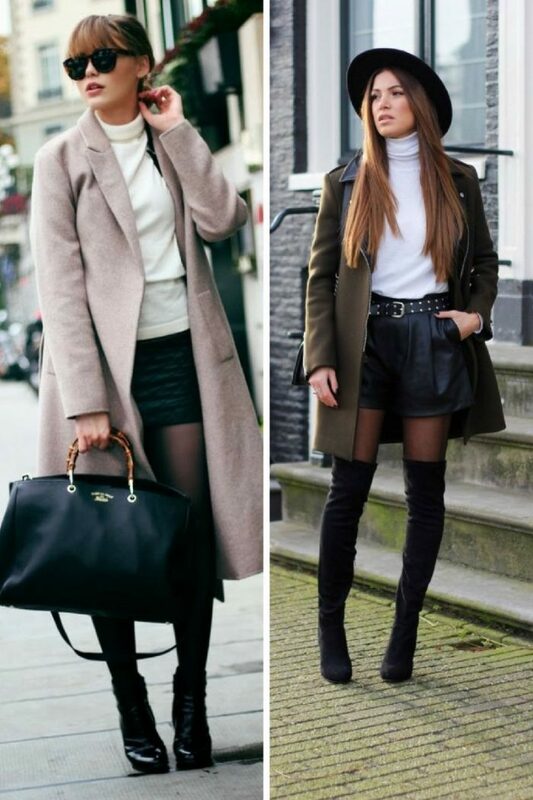 Here are Fashion Tips pictures and trendy women’s outfits which are in style in 2019: Brooches, Catchiest Scarf Trends For Women, Chain Necklaces, How To Wear Turtlenecks, Must Have Fashion Trends For Women, Sling Bags, Statement Earrings, Street Style Women's Fashion And Inspiration, Turtlenecks, Vests and tips on how to wear them on the streets.